20 DecA Message from the CEO – Santa Claus, Inc. Things here at Santa Claus, Inc., are running full speed, getting ready for the big night. Over the past few weeks, my friend Simon and Data Ladder have been given unequaled access into the operations of this unique business. With Simon’s help, we have been able to share with each of you key elements of our operations, through the eyes of my top executives. We hope you have found the interviews with the Chief Data Elf, Frosty the Snowman and Rudolph Reindeer helpful in understanding our work and seeing how important big data and record linkage is to our success. I wanted to take a few minutes to share some thoughts with you about the season of giving. The spirit and essence of Christmas is shared by millions around the world. Celebrations of the holiday vary greatly by region and tradition. No matter where you may roam, the spirit of Christmas will surely find a place in your heart. At Santa Claus, Inc., we have created a corporate culture based on the spirit of giving and sharing the joy of Christmas. That culture is deeply woven into everything we do here, to ensure that all find the magic of Christmas in their hearts. No matter what personal challenges you may find, know the spirit of Christmas is alive in your hearts. 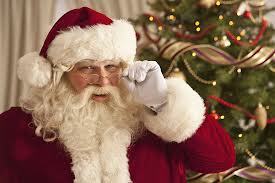 Santa Claus, Inc., is powered not by electricity or fossil fuels, but by the magic of believers, both young and old. We exist because you believe and share the spirit of the holiday with others. Giving and faith come from the heart. My heartfelt thanks go out to all the executives and associates at Santa Claus, Inc. Without your hard work and dedication to this magnificent holiday, we just couldn’t make this holiday special. I especially want to thank Simon and Data Ladder for helping us keep our data clean and accurate. Your results are just amazing! From all of us here at Santa Claus, Inc., we wish you a Merry Christmas and a Happy Holiday season.